This midi skirt is tailored from a linen blend fabric with green and beige stripes. It has a flattering A-line silhouette and a high-rise waist. 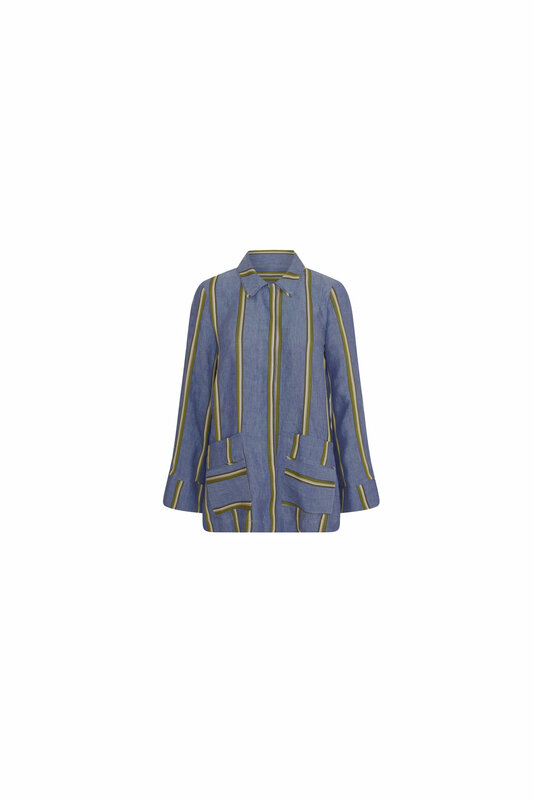 It has stitched on pockets and button fastenings through the front. The skirt is trimmed with contrast stitching constituting triangles. Pair it with your favorite shirt or wear it with our Elvira shirt in matching fabric for a complete look.